Two Mount St. Joseph Academy graduates will represent the United States at the 2012 Olympic Games in London. 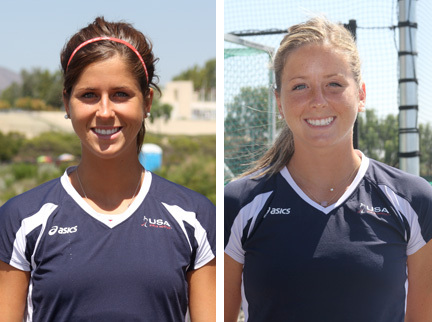 Katie (class of 2008) and Julia (class of 2009) Reinprecht of Perkasie, Bucks County, have each been named to the U.S. women’s field hockey team. The sisters took a year off from their studies at Princeton University to train for the team. Their efforts were rewarded when they learned in June that they had been chosen as members of the team. To watch the field hockey games beginning Sunday, July 29 to Thursday, Aug. 9 and event finals Friday to Saturday Aug. 10-11, see the television schedule here.